I’m really digging the Sally animatronic that they added last year. Honestly I can’t believe it wasn’t in there already – you’d think that would be considered an important thing to include in a Nightmare Before Christmas overlay! Although frankly there are still many characters left that ought to still be added – Dr. Finkelstein, Lock, Shock, Barrel, the mayor, etc. 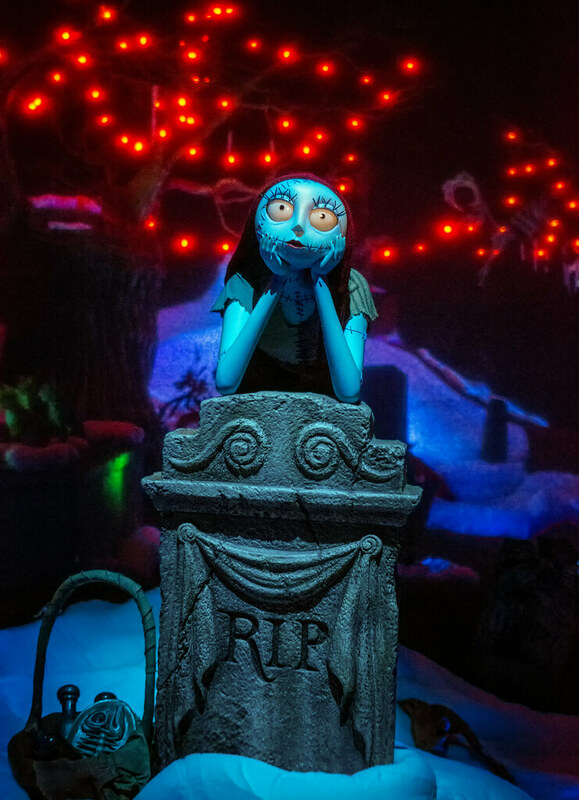 Come on Disney, put a little room in the budget for giving Haunted Mansion Holiday some more new animatronics! This entry was posted in Haunted Mansion and tagged animatronic, Christmas, dark ride, Halloween, Haunted Mansion Holiday, Nightmare Before Christmas, Sally, Tim Burton. Bookmark the permalink.